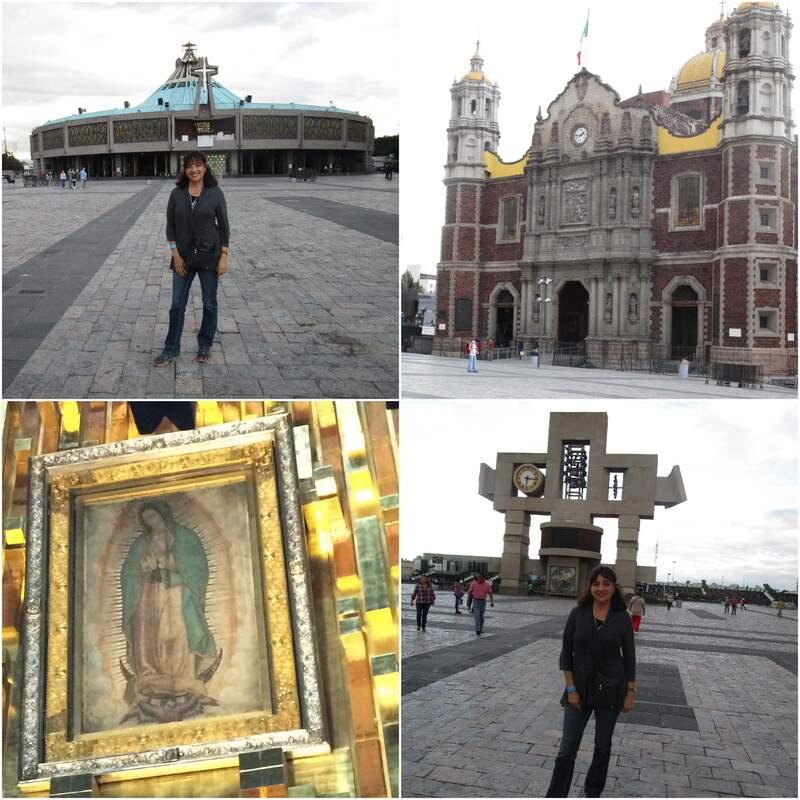 On October 21, 2017 I traveled to Mexico City for the first time. I am Argentine, but I´ve been living in southern Arizona for more than twenty years. 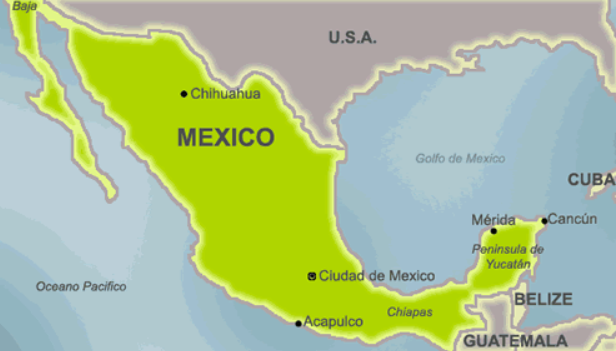 Mexican influence is present in many aspects of the life of this state bordering Mexico. Food, art and language are the predominant ones. This visit to Mexico City was a trip that I had in my bucket list for a long time. Despite the tragedy of earthquakes in Mexico on September 7 and 19, 2017, I found many Mexican people who were still supportive, positive, full of hope and, above all, very willing to serve tourists. While I traveled very close to those dates, my stay was not tarnished at all by fears, but on the contrary, the beauty of the city, its friendly people, the delicious meals, and the wonderful art monopolized every second of our visit. With my friend Mirta, who traveled from Buenos Aires, we stayed in a hostel located behind the Metropolitan Cathedral and one block from the National Palace. The hostel is strategically located for most popular places, just walking, and obviously the price was very economical. At night everyone suggests walking the busiest streets, and we did. We did not have any problems, but we were always attentive around us. The police were always present in the downtown area. I recommend this hostel because it includes a good breakfast, and friendly staff. Safe for women traveling alone. A couple of blocks from the hostel is El Palacio Nacional, headquarters of the federal executive branch. Upon reaching the entrance doors, a guide offered his services for a reasonable price. 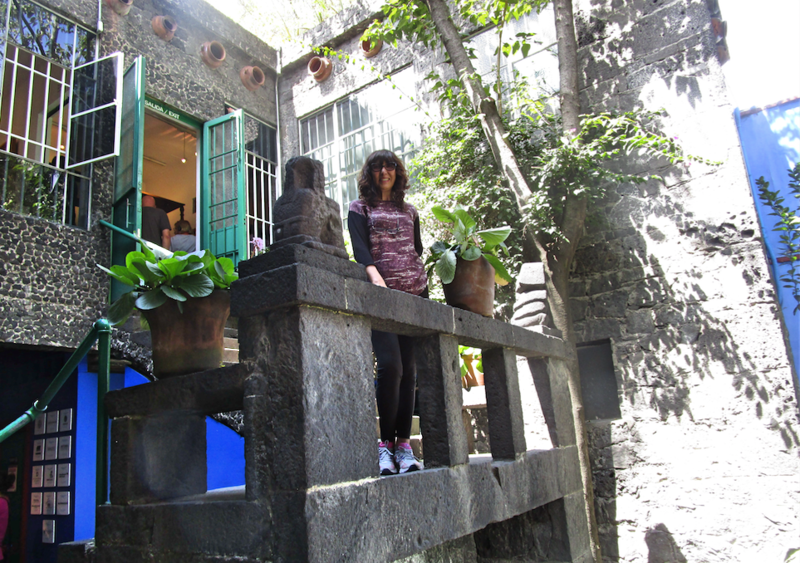 He took us inside to give us information, and showed us the murals of Diego Rivera. 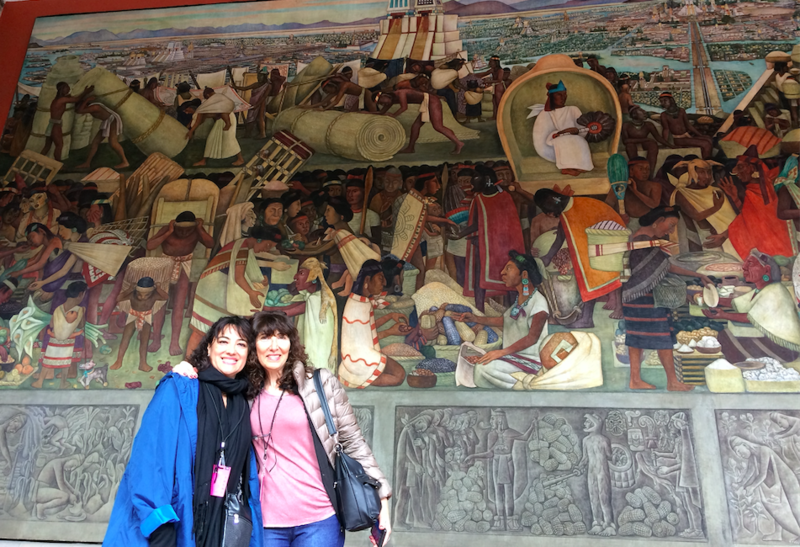 We sat on the steps and for an hour and a half, listening to the guide telling us the history of Mexico using the majestic mural of Diego Rivera. Later, we toured the corridor home of the other murals of the renowned muralist. I suggest you visit the Palacio with a guide. It makes a big difference. 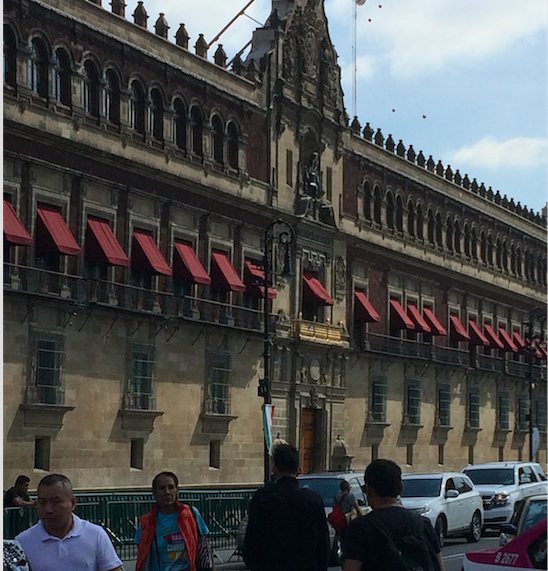 When we left the Palace, we went to see the famous balcony where, every September 15 at 11 at night, the Mexican presidents recreate el Grito de Dolores (call to the town to take up arms against Spain) given by the priest Miguel Hidalgo y Costilla. This recreation announces the beginning of the festivities of Mexico Independence. 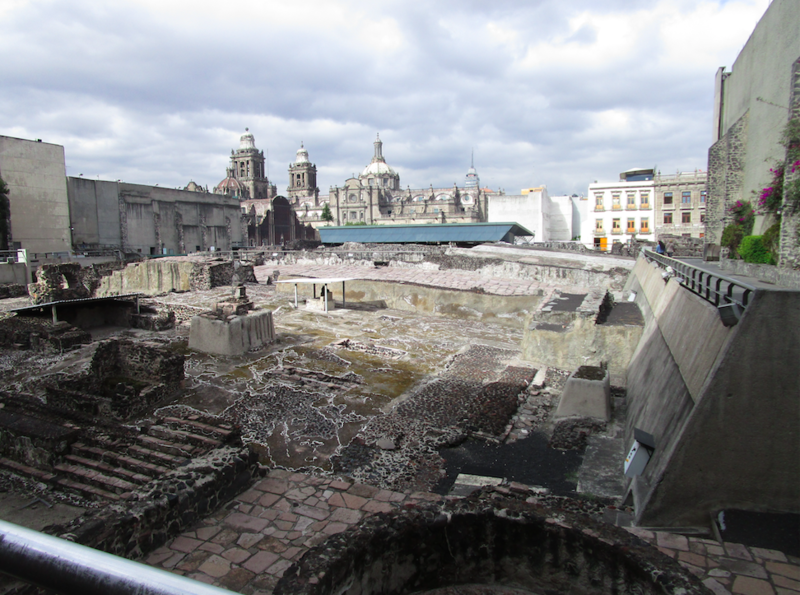 Our next visit, also a few blocks away from the hostel, was the main temple, Templo Mayor. These are Aztec ruins, culture that flourished in this area of ​​Mexico approximately between 1300 and 1521. We thought it was just a dream to be there in the middle of what was the capital of the Mexica empire, Tenochtitlan. How exciting to think that we were stepping on land over Lake Texcoco! The inhabitants of that time built artificial islands to gain land for their crops. The archaeological site has a museum that holds statues, braziers, and artifacts from that time. Very close to the ruins of the main temple is the beautiful Metropolitan Cathedral; a delight for the eyes. There are guided tours and also a theatrical show on Wednesdays, “Voces de Catedral” that we did not get to see, but they recommended it to us. In front of the cathedral is the famous “Zócalo”. It is a large square like a plaza. During our stay, a large part of it was closed with preparations for the day of the dead. Zócalo is the area surrounding the square. 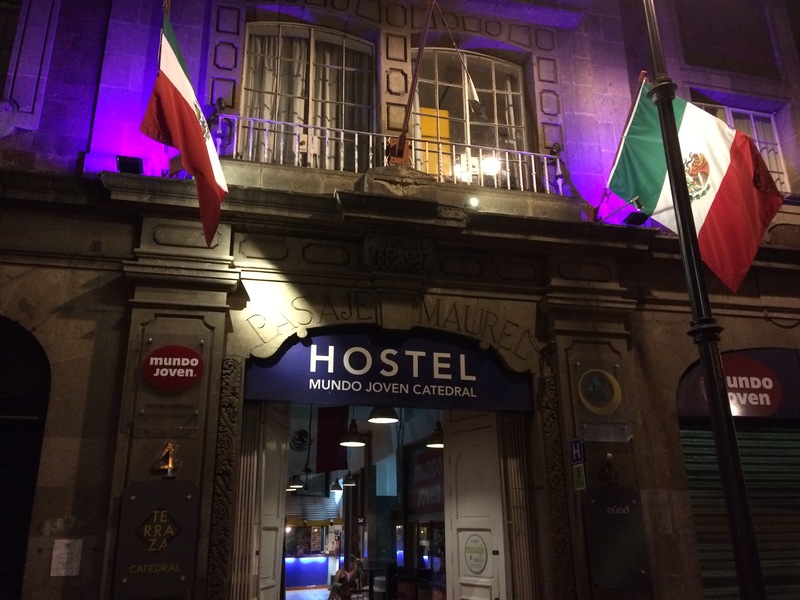 Our hostel is in the Zócalo. Following our walk, we went to the Palace of Fine Arts. The palace left us speechless… the dome is so wonderful that one can stay for hours observing it. 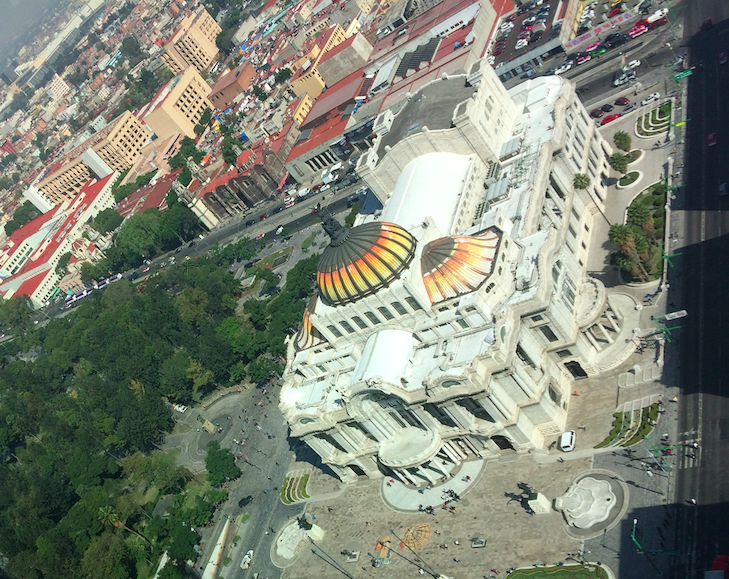 The Mirador Torre Latinoamericana building is located on the corner. Mirta and I went, in the morning, intrigued mainly by the view of the Dome of the Palace of Fine Arts. But not only the dome was spectacular, but everything that surrounded the palace. For example, the renowned plaza La Alameda, a very old wooded square that is located next to the imposing palace. At night, we decided to return to the viewpoint (the entrance ticket to the viewpoint lasts all day), and we enjoyed a fascinating night view of the city. Continuing with the Palace of Fine Arts, the dome is not the only thing to highlight, but the whole palace as it is the center of the cultural life of the city. It is elegant and prestigious. 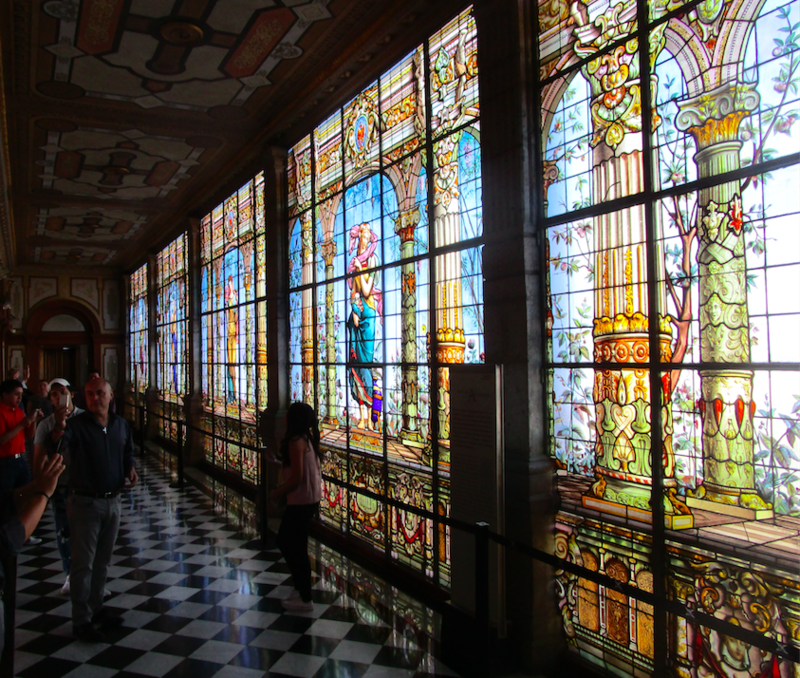 Its marble floors, the crystal lamp and the murals on display are the pride of Mexicans and the delight of tourists. Palacio de Bellas Artes is not only an amazing auditorium, but also an incredible display of murals and art. 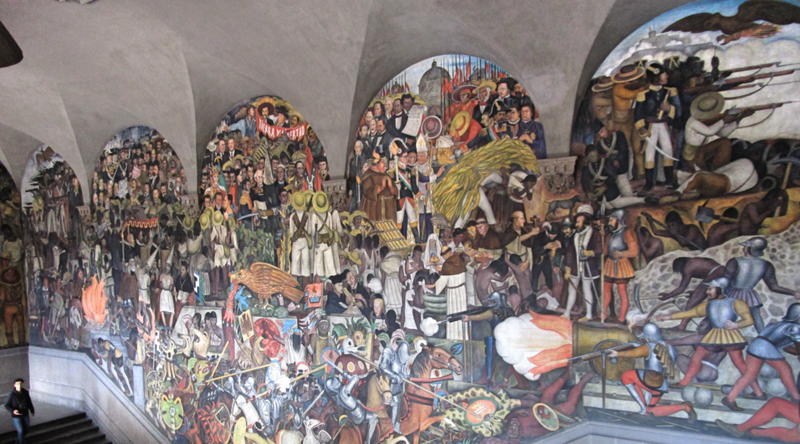 The murals of Diego Rivera, David Siqueiros and others are impressive and full of history. Mary, the artist friend of Mirta, of Japanese origin, who grew up in Buenos Aires, but living in this city, recommended us to see the Ballet Folklórico de México by Amalia Hernández. 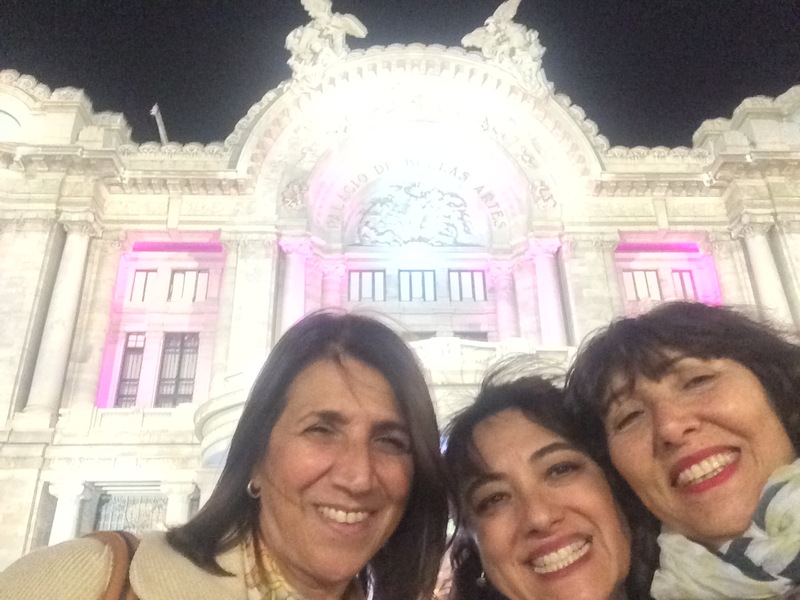 Mirta, Alejandra (my Argentine friend living in Mexico City) and I gave ourselves the treat of seeing this folkloric ballet. The National Museum of Anthropology did not disappoint us for a moment. The museum has two floors, and the first floor took us three hours to tour it. Such an amazing place! One of the pieces at this museum had me captivated for many years, and I had the opportunity to admire it. I am talking about the famous Piedra del Sol (Sun Stone), commonly known as the Aztec calendar. I kept admiring it and listening to the explanation of a local guide for a considerable time. This museum is not the only one in town. In the area, there are other important museums, but we did not have enough time to visit them all. 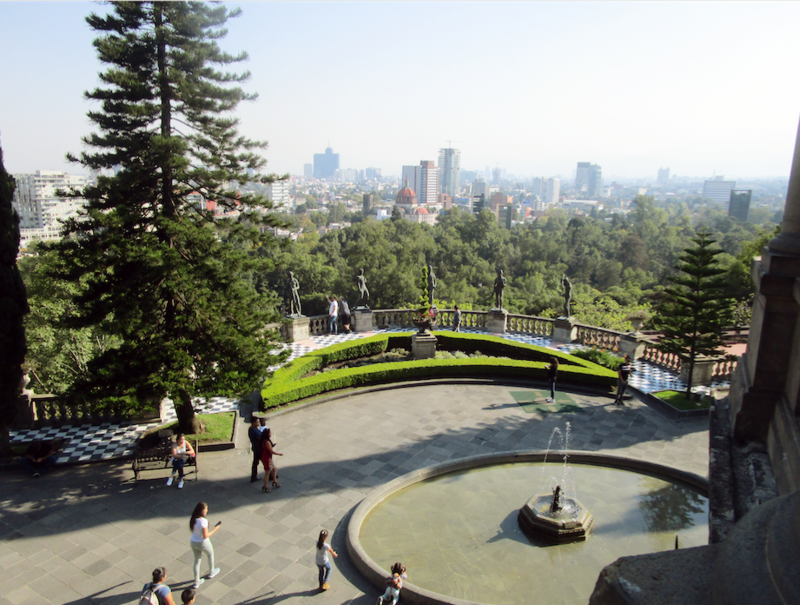 We continue our tour, and decided to go to the Castillo de Chapultepec (Chapultepec Castle), also in the outskirts. Alejandra went with us and gave us a lot of information, a real treat for us. It seemed unreal that in the middle of the city lives this castle with immense and colorful gardens and leafy trees. Good tip: every Sunday, admission is free. This area has other attractions as well. Our feet were already sore (especially my right foot that a week before was in a cast for two months), so and we decided to take a taxi, but it was almost rush hour and we did not find one available. Traffic in the city is a separate issue, so walking is the best option. We rested for a few minutes, and later walked to the Paseo de la Reforma. This very wide avenue is the most important in the city. On this day the orange color was predominant. The boulevards were decorated with an endless rows of flowering Cempasúchil. In the ancient language of the Aztecs, Nahuatl, Cempasúchil means flower with twenty petals, and it is the flower for the day of the dead celebrations. 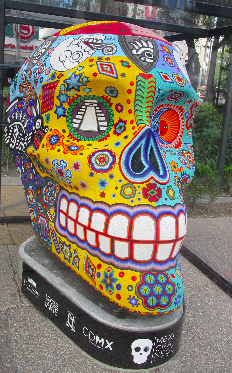 Along this avenue there was an exhibition of alebrijes, and skulls of the day of the dead. 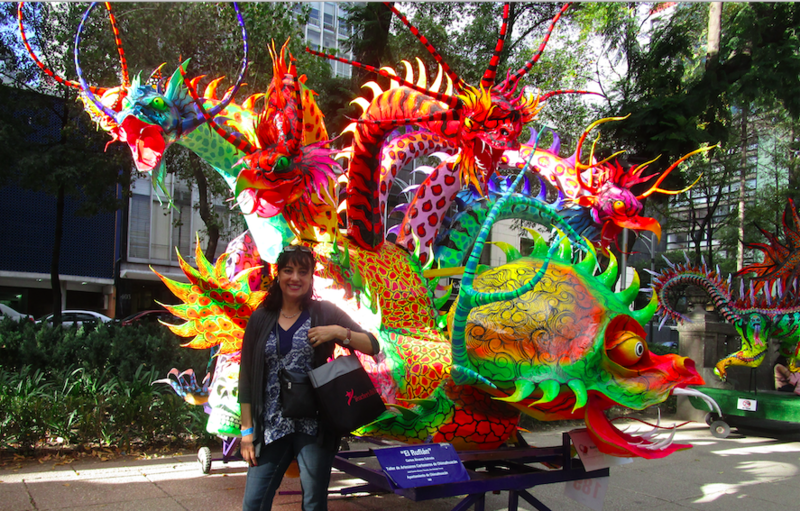 Alebrijes is a very popular craft of Mexico. Each alebrije represents an imaginary animal and they are extremely colorful. But this exhibition was particular because each of alebrijes were huge. The skulls were also more than one three feet tall. A monument to highlight is the Angel of Independence that occupies an important place in the middle of this avenue and is considered a symbol of the city. On Sunday we decided to take the subway to get closer to Coyoacán, and specifically to the museum of the painter Frida Kahlo. We had a good experience in the metro (underground) but they recommended that we not do it during the work week. After crossing the Coyoacán Market, we arrive at the museum. We were surprised when we saw a very long line to enter. Thankful for whoever suggested buying our tickets online in advance, we waited just for a few minutes, and they let us in. Frida’s life was a tragic and fascinating story. It was an honor to have been at his house. This is another must in Mexico City. Later we went to the Coyoacán Market. The main theme of the market was the day of the dead, and all the necessary objects to make an altar of the day of the dead, and decorate the houses and tombs. 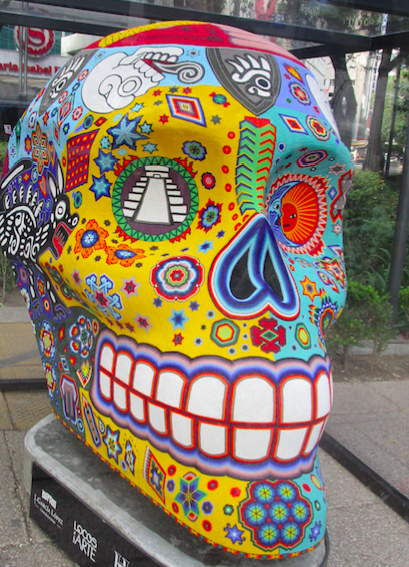 Some examples are the skulls of sugar, bread of dead, papel picado, catrinas, among others. As a Spanish teacher in high school, I bought items to make an altar in the classroom and teach students this Mexican tradition. Another advantage of our hostel was that tourist guides offering their services, and pick up for tours meet right across the street. After an hour and a half from the city center, we reached the ruins of Teotihuacán. Teotihuacán means Place where the Gods were made, and this city was built by a civilization prior to the Mexica. This place belongs to the patrimony of the humanity granted by the Unesco in 1987. We climbed first to the pyramid of the Moon, and they explained to us that the mounts that surround the area were probably pyramids or more ruins of this ancient city. Because of this, they are kept like this to protect them. There is a main street, called La Calzada de los Muertos, where it is said that the inhabitants performed ceremonies and other activities. Continuing along that main street, you will reach the Pyramid of the Sun; much more imposing. In the surroundings there are other ruins that used to be palaces, such as the Palace of the Jaguars and the Palace of the Quetzalcoatl. Our guide was very good, so we all felt happy with our experience in Teotihuacán. We went to the Basilica of the Virgin of Guadalupe, and we were surprised by the grandeur and circular shape of this basilica. They say it is the second most visited after the Vatican. The Basilica is round and in it is the original image of the Virgin printed on the coat of the native Juan Diego. The story tells that the Virgin Mary appeared four times to Juan Diego. During the last one, when presenting himself to the bishop and unfolding his cape, the image of the Virgin was printed on his clothes. The cape is framed and hung on one side of the altar. While a mass was being officiated, we could see the image without interrupting the mass. A flat escalator system just below the image helps the tourist to see the image, take pictures and mainly avoid falls since we were all looking up and taking pictures. Mirta and I took a few turns to see the details of the image. We left there and went to the old basilica, but we were told that due to the instability of its structure, it was decided to build the circular frame. This temple is now called Templo Expiatorio a Cristo Rey. It is easy to see the unevenness of its structure, despite the efforts to level it. It is possible to enter and visit it because it is safe. Also, there are other chapels and temples, around here. One of them was a convent of the Capuchin nuns. 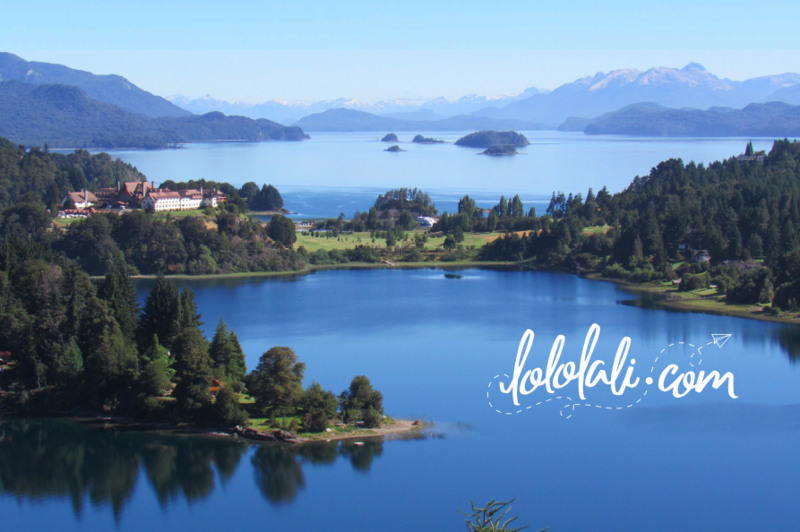 Because we did not have enough time to really visit them all, I recommend that you make this visit separately to have time to spend time in all this area. This is the end of this story. Mexico City is a wonderful city in every way. It was a very short trip for me, but I was satisfied with what I learned, saw and tasted. There was a lot to know, but I’m sure I’ll be back. Put it in your bucket list.